With temperatures continuing to plummet across Australia, we thought it was a great time to reach out to some of our favourite bloggers and ask where their favourite winter destinations can be found. We received an interesting mix of responses, with some looking to lap up the beauty of snow-dusted European and American cities, while others would rather spend their time by the beach, both at home and abroad! 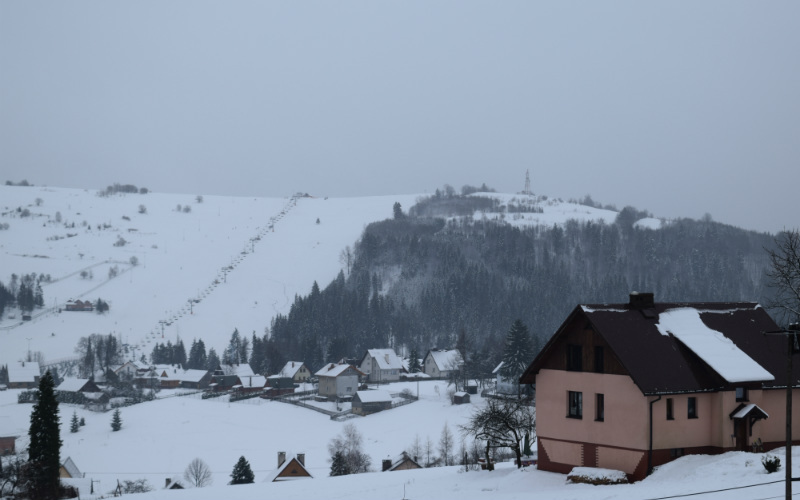 My favourite winter destination would have to be Istebna in Poland for the memories it has given us. We were lucky enough to spend our first ever white Christmas there last year and it was everything we had hoped for. We sat on our balcony (sometimes only briefly!) and looked over the snowfields. You could see tiny specks that were the skiers zigzag down the runs and at night the slopes were all lit up. They stretched as far as the eye could see and it was amazing. To be honest, it was our girls’ first experience with snow so we did not know how they cope with the cold, especially coming from warm weather in Australia. We had nothing to worry about! We watched them have snowball fights, they had their first experience with sledding and they made so many snow angels, but our favourite memory was on Christmas Day. We had a horse-drawn sleigh ride through the forest into an open field lined with trees where we cooked our sausages on an open fire while having some gluhwein. As we cooked, the girls and our friends made snowmen, chased each other around and all you could hear was laughter. Then, as we stood in that field, it started to snow…our Christmas wish had come true! Istebna, Poland. Image Credit: Wyld Family Travel. Cable Beach in Broome, Western Australia is a 22 kilometre-long stretch of pure white sand, set against a backdrop of red ochre cliffs and fringed by the turquoise waters of the Indian Ocean. The contrasts of the vivid colours is soul-stirring and I think that this alone is what makes this beach one of the top beaches in Australia and my favourite winter destination. The best time to visit this extraordinary piece of paradise is during the Australian winter months or the dry season, when the temperatures are milder and the humidity a lot less. It is therefore not surprising that Cable Beach is an extremely popular tourist destination with visitors and grey nomads, who flock to this town during the cooler and drier winter months from May to August. 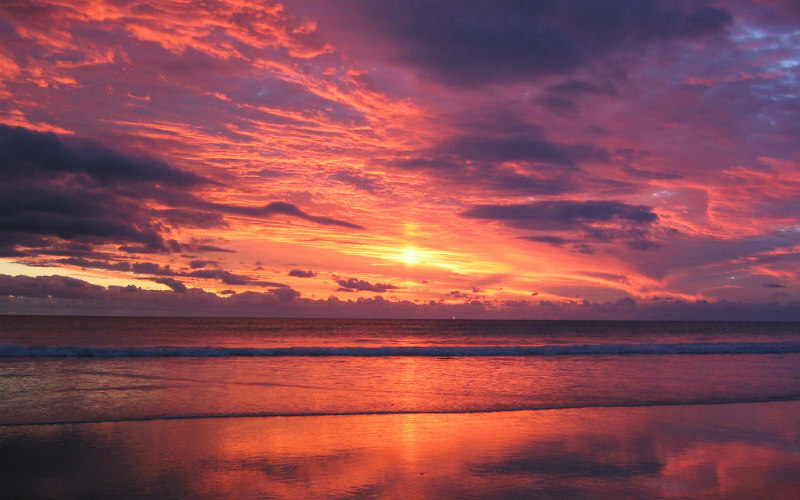 One of the biggest draw cards to Cable Beach is the simply spectacular sunsets over the Indian Ocean. You can drive your 4WD right onto the sand for sunset drinks and aperitifs whilst watching the spectacle of the colourful sunset and camel safaris along the beach. Otherwise, you can sip a cocktail at one of the beachside bars in the string of resorts beside the beach. A visit to Gantheaume Point at the southern end of Cable Beach is also a must, with its collection of rich red rock formations that contrast against the turquoise sea, and where at low tide, you can see 130 million year old dinosaur footprints. I could easily wile away my winters on this bewitching beach! 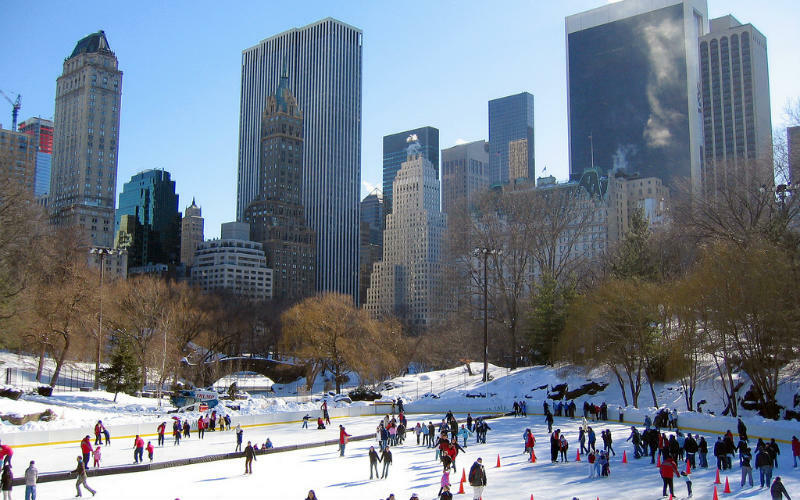 Since my childhood, I had dreamed of spending a white Christmas in New York City – Bing Crosby had a lot to answer for. Finally, in 2008 we were in New York at Christmas time, but the ‘white’ part was up to the weather gods. I wasn’t that fussed about whether the snow fell on the big day itself, I just wanted it at some point during the festive week. On the morning of the 19th of December, we woke up to ‘snow day’ warnings on the morning news. We headed off to the Metropolitan Museum of Art, where we became engrossed in all the treasures on display. Mid-morning, we happened to be near a window overlooking Central Park and looked out to see a totally whited-out landscape! 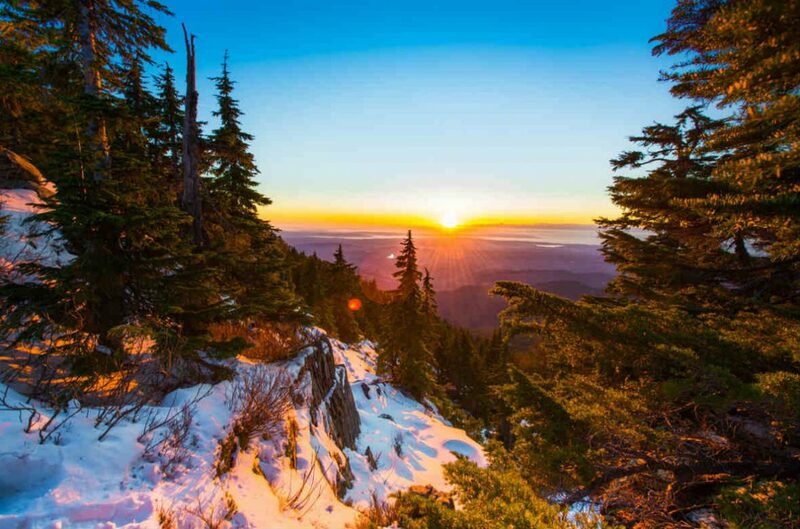 We could hardly believe it, and even better, there was still some snow on the ground on Christmas Day itself. The most incredible part of Christmas in New York however, was the atmosphere. Despite the Global Financial Crisis having just hit, decorations in the shops and public spaces were completely over the top. Giant trees, fabulous shop windows, lights on buildings, ice skating in Central Park, the Rockettes Christmas Spectacular at Radio City – we felt like we’d walked onto the set of one of the many New York Christmas movies we’d watched over the years. Central Park, New York, United States of America. Image Credit: Tomás Fano / CC by SA 2.0. While I do prefer cooler temperatures generally, there is plenty to love about getting away from the cold and grey of midwinter for a few weeks. And given a choice of destinations, Mexico will win every time. A country of amazing food, incredible history you can reach out and touch, colourful towns and warm and welcoming locals, there is an experience available to satisfy every traveller. Want to laze on the beach or around a pool with a piña colada or margarita? 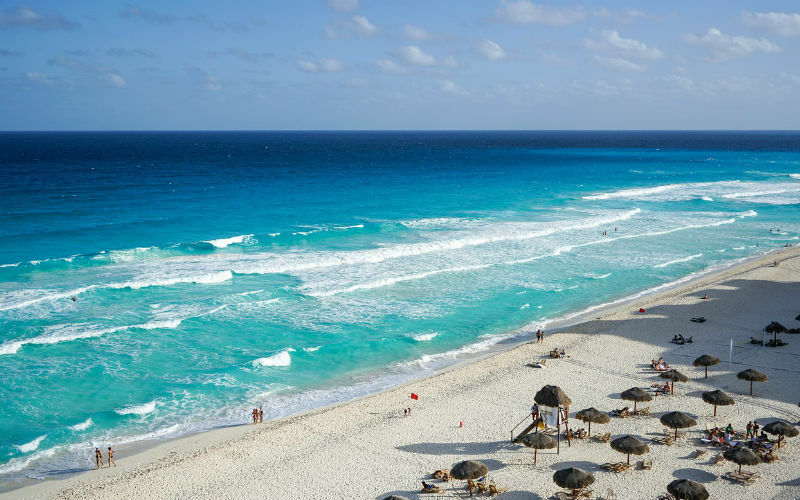 The Baja Peninsula or Cancun and the Riviera Maya offer more options than you can imagine. If history, food and culture is more your style, then try colourful towns like Guanajuato and San Miguel de Allende, or the mountain city of Oaxaca. Mexico is easily reached, with a single connection in a number of US cities forwarding on to dozens of final destinations, each one offering something unique. We have visited Mexico a number of times and have plans to return in the future. Make the most of the experience by trying to learn a little Spanish, having an open mind with tasting new things (I tried chapulines (fried grasshoppers) and was pleasantly surprised), and being prepared to fall in love with this diverse country. Central Europe is one of our favourite winter destinations because of the Christmas markets. Germany, Austria, the Czech Republic and Hungary all have a strong Christmas market game, and we could easily spend the entire month of December travelling the region, going from market to market in search of quaint souvenirs and stick-to-your-ribs treats, like pork knuckle, Spätzle, and a range of sweet cookies and cakes. When the cold starts to get to us, we enjoy continuing our explorations with a mug of hot, mulled wine in hand, often available in a souvenir mug that’s unique to the market. Some of the most famous Christmas markets are found in the main squares of the big cities, which often have the biggest selection and the largest crowds. 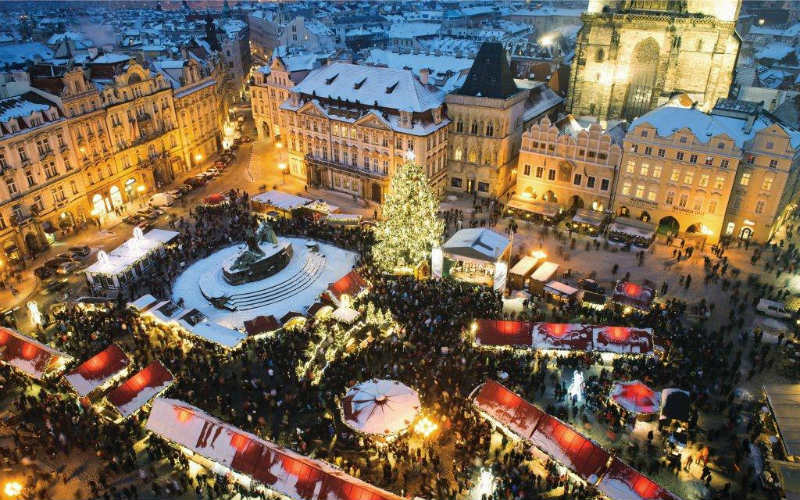 We also like to seek out markets that are meant for locals, such as the Namesti Miru market in Prague; they’re often much smaller and more relaxed, and will give you a feeling of what Christmas is truly like in these communities. Christmas market in Prague, Czech Republic. Image Credit: Roderick Elme / CC by 2.0. Cable Beach, Broome, Australia. Image Credit: Phil Whitehouse / CC by 2.0.Ready to make the most of winter, whether you prefer the snow or sand? Find cheap flights to destinations across the globe with Webjet!